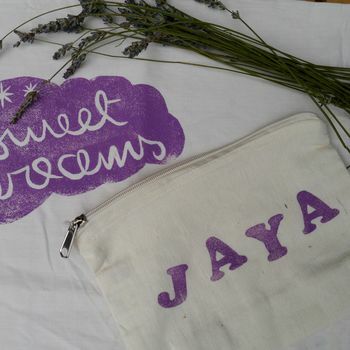 An adorable handprinted 'sweet dreams' cotton pillowcase with your little sleepyhead's name to make it truly theirs, sent in a matching named zipup bag. 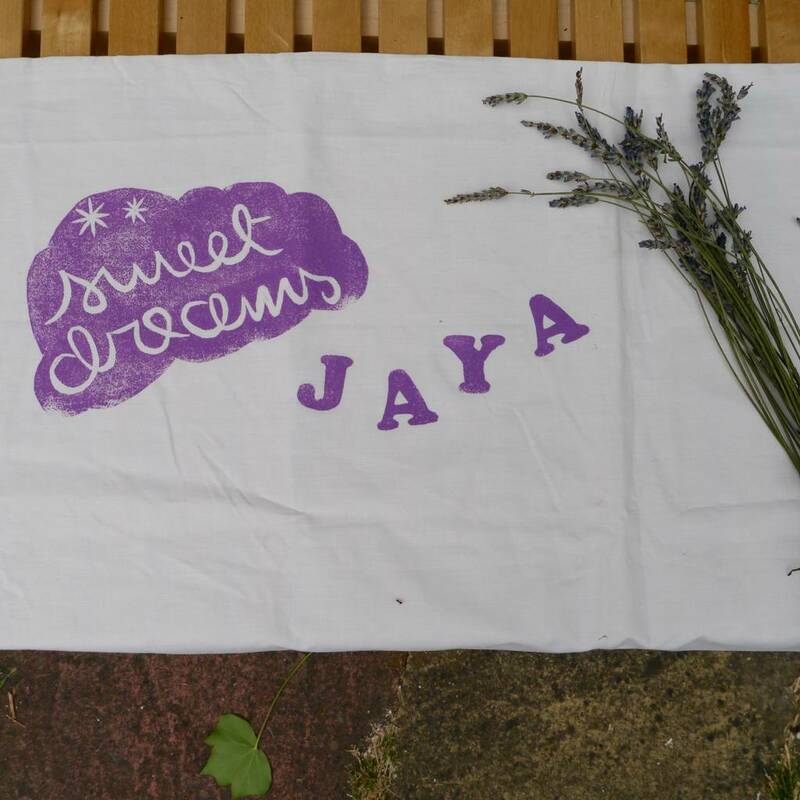 The sweetest dreams will be had on this truly lovely pillowcase supplied in a very special bedtime bag. Handprinted to order, each bedtime bag has a pillowcase with 'sweet dreams', personalised with a name. 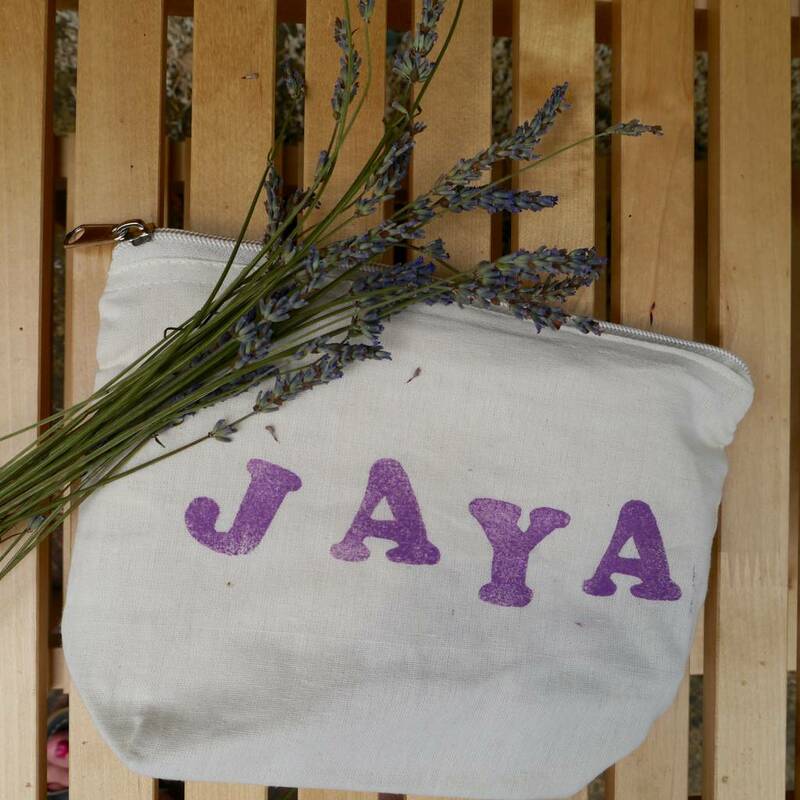 The bag is also personalised with the name, making it an irresistible gift for a little one. 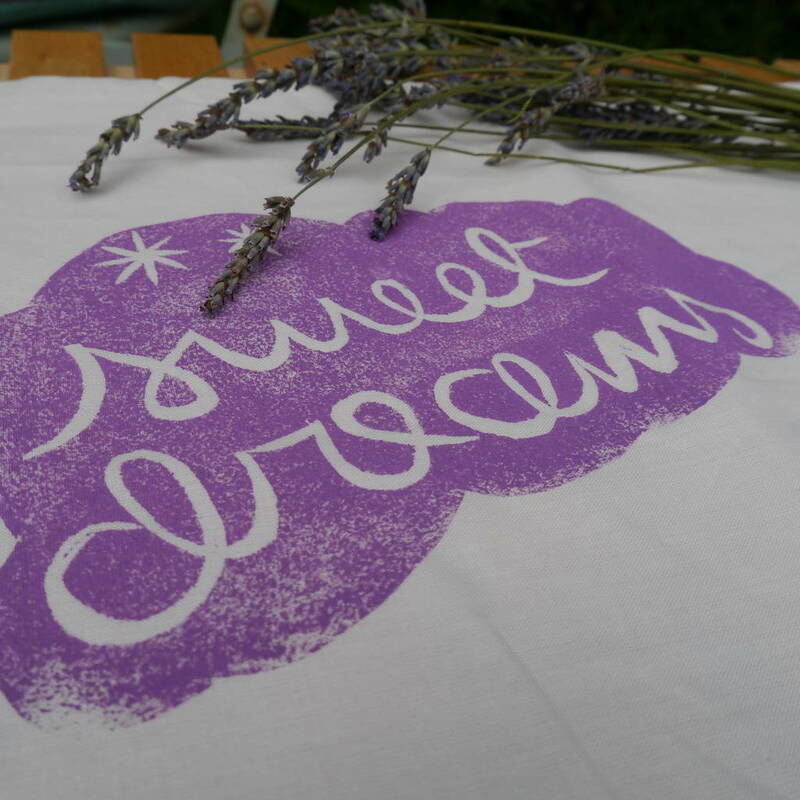 You can send them off to bed safe in the knowledge that every pillowcase is 100% cotton, and is printed with child safe inks- machine washable of course. The design can be printed in any colour- feel free to ask for a bespoke option. Pillowcases are white or pink cotton. 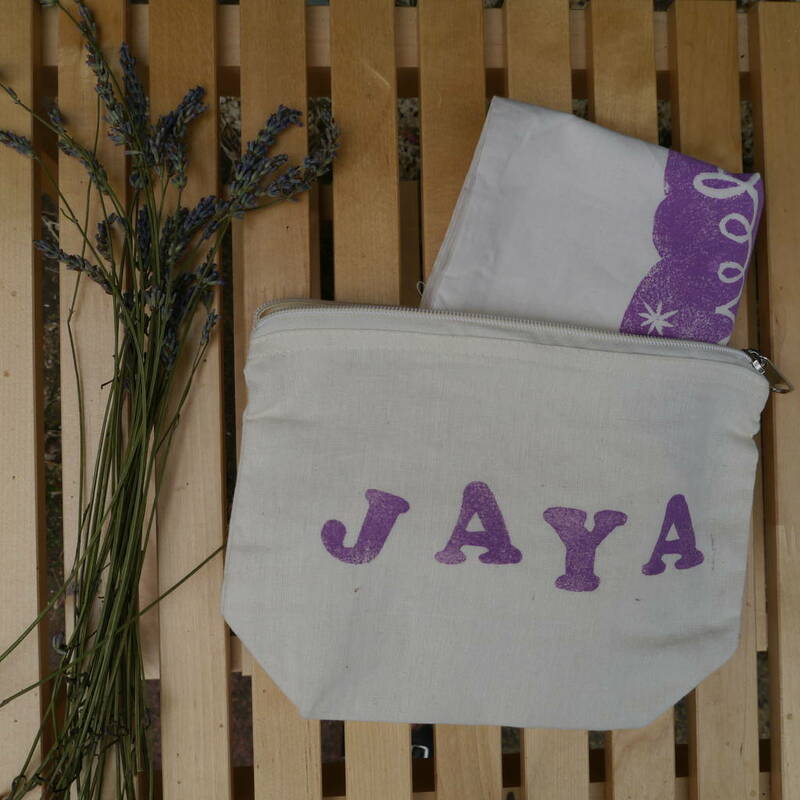 The little bag is also cotton, and zips up making a perfect home / sleeping bag for a teddy bear!